The words had been said, but did not feel beautiful until they came back, and corrected me, of what should have been said before. The best thing about very good friends is that they mind what you say, and say it on your face. So you don’t have to mind your words, you are free with them. Very few reach that pinnacle. Suddenly I blurted out, “Why? What purpose does that solve? Just to make an impression?”. Chances are that if you two know the same instrument, you might want to settle scores, and an initial act of love may soon find itself in wrong grounds of dominance and competition. We all have our moments; the possibility of this situation cannot be denied. Love is the creation of music, by strumming otherwise incoherent, noise-like vibrations into a single peaceful coherent symphony. Each part, has its part to play, love. That night, the words came back to me with a minor correction, and have been with me since then. ~Section in Gray: John Mayer - Edge of Desire. Ahh..an equal music! 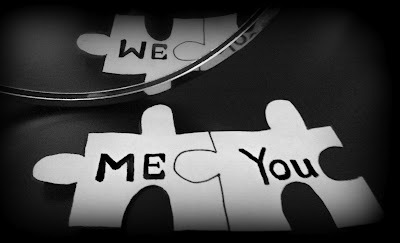 Me viewed from a different angle is 'We'and 'you' complete the picture. .. knock knock.. awesome post.. but i think it may be not to "compete" with her but to do something she likes and wants you to do with her too; maybe in a cemetery, under millions of stars, all alone- just him nd her! Isn't that what we all are looking for? Someone who complements us, fulfills us and enriches our otherwise mundane existences? Your incompleteness and mine, completes you and I...just like the day and night! Hi Anshul, your post deserves a thumbs up! Simple words beautifully put together. Yes, the picture, hence, is justified. Yes, we are, but we're also too impatient to be lured into traps. said so softly that you can't help but admire at the words. Not just admire, but take them to heart. uhh but y make an assumption she is incomplete! 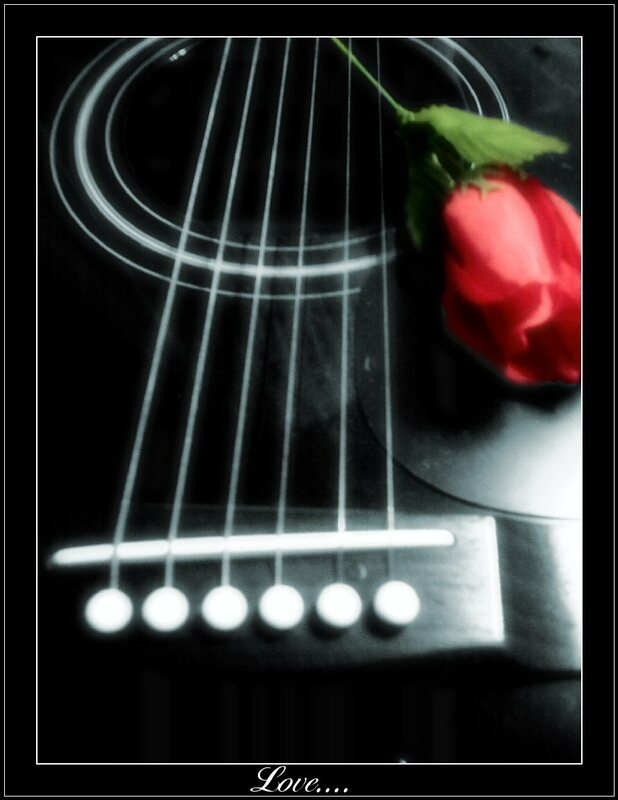 "Love is the creation of music, by strumming otherwise incoherent, noise-like vibrations into a single peaceful coherent symphony. Each part, has its part to play, love." :) You made my day ! That incoherent thing that makes everything else wallop in coherence that only a pair of hearts can decipher. Being completed by somebody, or being that somebody who completes someone...inst it such a divine privilege a very blessed few have? Call me cynical but I am not sure of this complete business. I would have preferred the complement lines you had chosen earlier itself. I loved the way you brought the whole idea. Beautiful thought and written in such a language that it touches heart. your words give birth to more emotions... thank u! A short post but really heart touching. Its true that sometimes some simple incidents of our lives teach us some very important lessons.